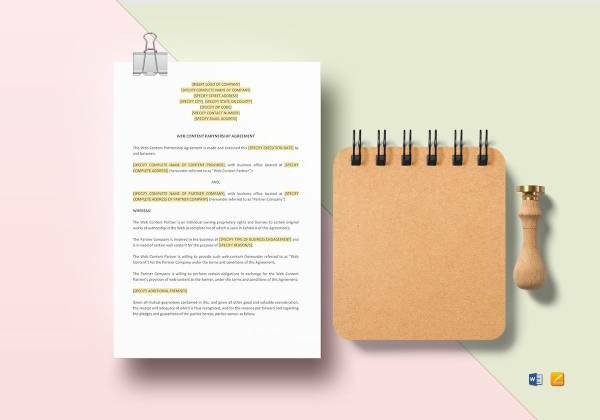 If you are starting a business with a partner or taking partners into an existing firm, you need a detailed agreement form that makes the partnership legal. 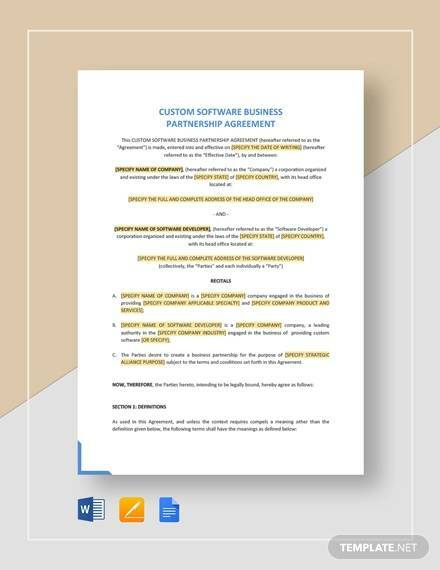 You can employ the assistance of a lawyer to draw up the paperwork or you can simply download these business Sample Partnership Agreement Templates. Print them out and fill in the blank spaces. These are available in both Word and Excel formats for your convenience. This agreement is a fundamental part of a partnership, ensuring a fair and pleasant conduction of business among the partners involved. 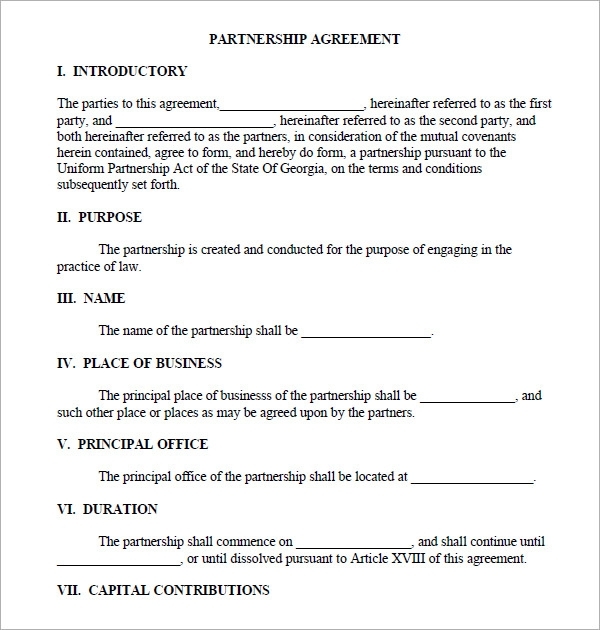 Here are examples of what a business partnership agreement usually contains – contribution of capital, voting rights of partners, sharing of costs and profits among the partners, designation of a managing partner, rules of withdrawal from partnership, ways of dealing with emergencies like death or disability of partners, etc. 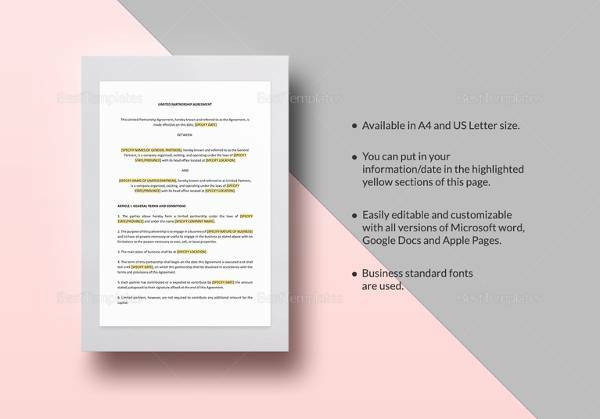 These Sample Business Templates can be modified according to your needs and the rules and regulations of your State. 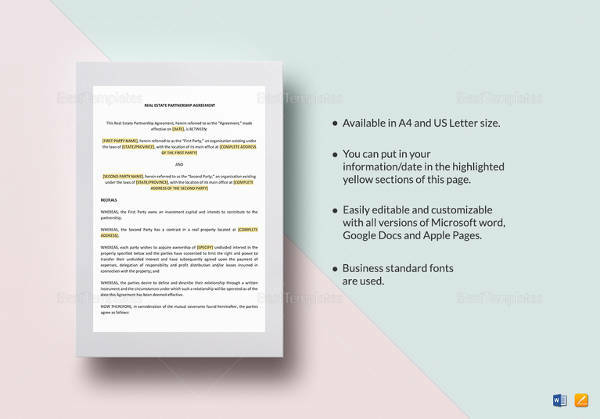 You can download them for free or pay for the premium templates. 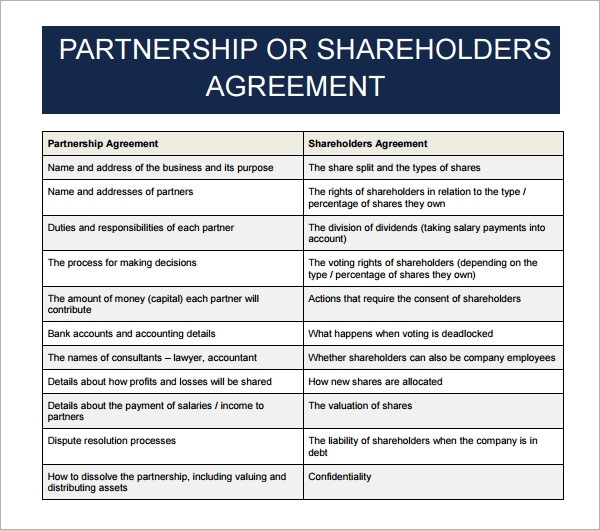 Partnership agreements are essential for joint ventures to avoid friction amongst the partners. 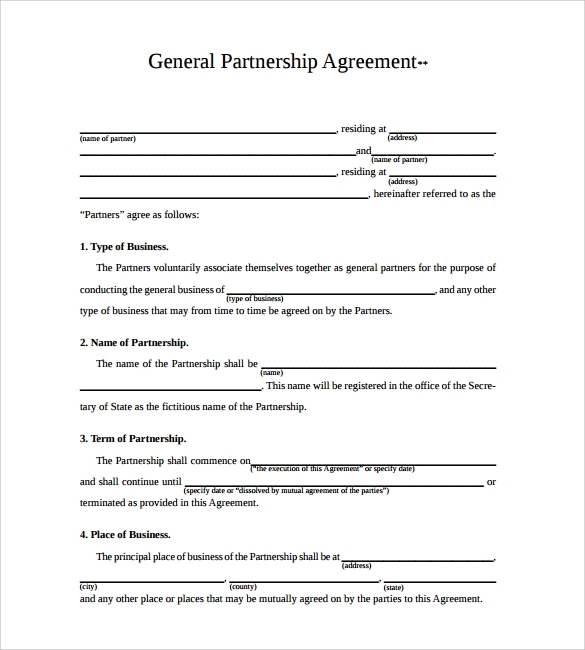 Invest some time in preparing this agreement, otherwise there might be misunderstandings. 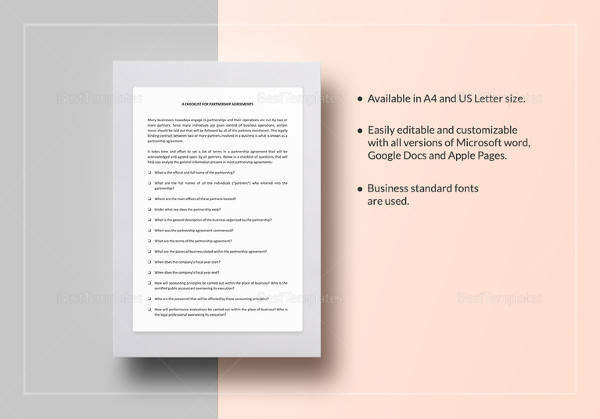 You can simply fill in the blank spaces of these templates to get done with the paperwork super-fast. 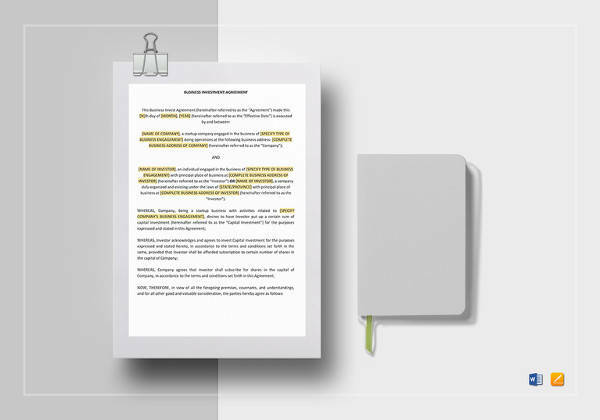 You can add extra clauses to the template if your lawyer so advises you. 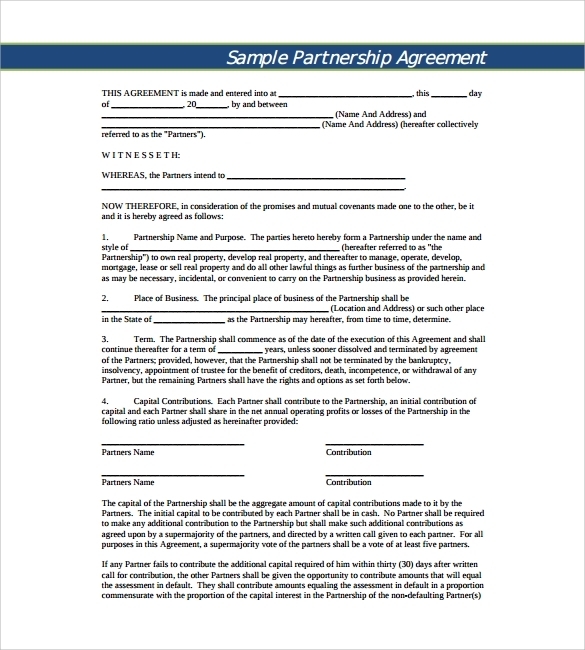 A business partnership agreement provides the strong foundation upon which a partnership business can be built on. 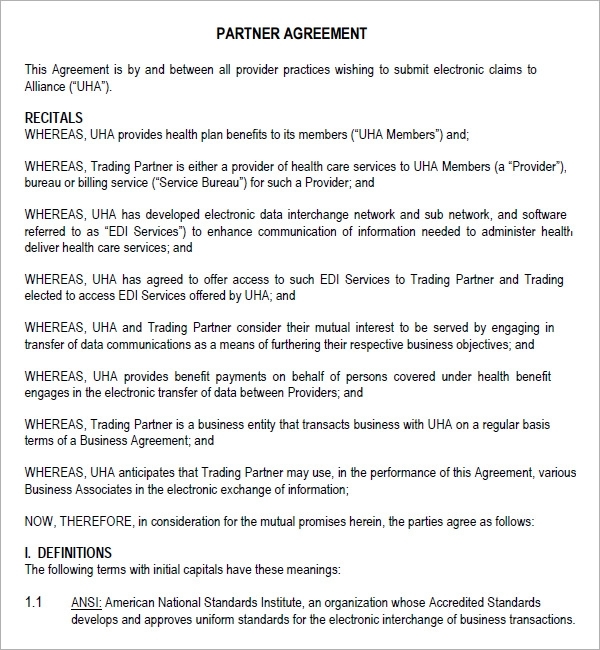 This agreement will help addressing issues like the need for removal of a partner and monetary disputes. 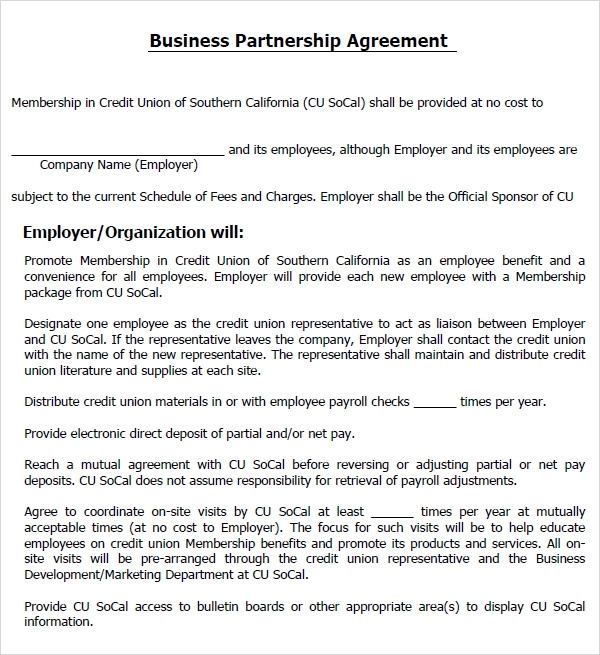 Business expectations and roles should be clearly stated in the agreement for a prosperous business.